I have always had a belly and weighed as a child more than I should have. My entire adult life was a pure diet program with yo- yo effect. Whenever I managed to put off 10kg, I gained 15kg back! One year I lost 5kg and gain after Christmas 10kg. Year after year it went on and on. My friends and acquaintances already gave me the nickname of “the man that dances with the diet." At one time I decided to go hiking 4 weeks in Austria (quite a goal!) and at approximately in the middle of this hike (approx. 400km) I had to rush directly to the nearest hospital with an inflammation of the left ankle. The emergency physician told me "With this pain you will not walk even a meter more, but honestly with such a corpulence you have to be proud to have been able to walk so far!" And this blared in my head, everything was clear for me! But how could I cope with it? By coincidence, I learned from Eurodiet, grabbed abundant research, and decided to try this method. Only under Medical supervision (I even persuaded my family doctor to be trained to the Eurodiet Method), so I did not even have to go to a new doctor. One feels no hunger (Phase 1 and 2). This is sensational, I can only say at this point. My limits (during the diet) were shown to me. I always knew what I was allowed to eat and what I was not. I needed such a system because otherwise I was tempted of trying to avoid. The food can be seasoned and one could have food seasoned like one is used to. Continuous monitoring of health (through blood sampling) because severe weight loss can put one’s health at risk. There are foods that you can cook very quickly (nice when you are working). One cannot describe how it feels to be 40kg less, except SENSATIONAL. When climbing stairs, lifting boxes, tying shoes, all the little things in your life you can do again and are just becoming easy and normal. When I first heard about the Eurodiet program I was 87kg and very unhappy with my health and appearance, I was ready for a change and as it turned out this program was perfect for me and my lifestyle. I had always struggled with trying to maintain a balanced diet and exercise regime, due to work and other commitments I could never find the time or energy to figure out what I was doing wrong. This is what was so fantastic about Eurodiet, it basically reeducated me about balancing nutrition and exercise to maintain a healthy weight. All I had to do was follow the guidelines for what to eat and exercise requirements are very minimal so it did not encroach on my day to day. With the support from Dr Hadges, Dominique and the rest of the Eurodiet team I lost 22kgs in 5 months. Since completing the diet I now have a strong understanding of how to balance indulgence with healthy living and this has translated to a much happier me. I was diagnosed with major depression and anxiety about 10 years ago. From taking anti-depressants and being too sick to leave the house or even bed on some days, I started putting on a lot of weight. I have been on the Eurodiet program for 8 months now and have lost nearly 40kg. My Eurodiet consultant has been very supportive and helpful with all my questions and needs. Knowing that I have a doctor to monitor my health and give me advice throughout the program is reassurance that I am on the right track. Eurodiet has given me back my confidence, being able to walk into a clothing store and know that the clothes will fit me is a great feeling. I feel assured that I will be able to continue with healthy diet habits I have learned from the program and keep the weight off. I now weigh less than I did 12 years ago. My life and health has improved dramatically thanks to Eurodiet. I have reached the end of the program as outlined but will use the extra meals I purchased as part of an ongoing aim to reduce a little more in the next few months. I have lost 30 Kilograms in twenty weeks and have dropped another one since. I am more than please with the results. Dr Hadges said it was the most loss of any clients he had seen (he may just be encouraging). The big positive is the improvement in all areas of my blood analysis and in my blood pressure. The down side is I am now having to purchase new clothes (up to 4 sizes smaller) and people who haven’t seen me for a few months don’t recognize me. I knew I had put weight on, but as I wasn’t monitoring it, 17kg’s had slowly crept on over the last 4 years. Self imposed diets failed and even though I was fit and exercised regularly, this had little impact. 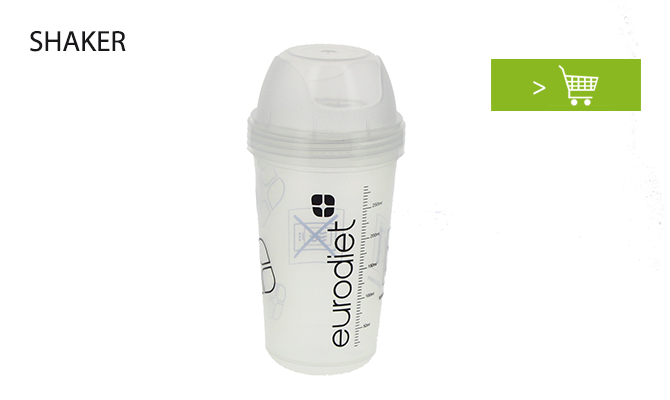 The Eurodiet program saw me lose my weight in just 5 weeks! I put its success down to the following key points. Eurodiet provided the structure and food making it easy not to stray. Eurodiet's support and education on good nutrition. Medical monitoring which allowed me to lose my weight safely. Also, the products are great way to maintain my weight on an ongoing basis. Eurodiet has got the weight off and MOST importantly has improved my cycling drastically! Big thanks to the Eurodiet team! I am a 61 year old male. When I first heard about Eurodiet through a Swiss friend of mine what really caught my attention was that Eurodiet offers medical support. You have to have a medical check and a doctor’s assessment before, during and after the program. It definitely sounded like a different and quite serious program. Over the years I had gradually put on more weight, My gym attendance was haphazard until I cancelled it. I was 112 kilograms when I started the Eurodiet program. The food is really tasty. 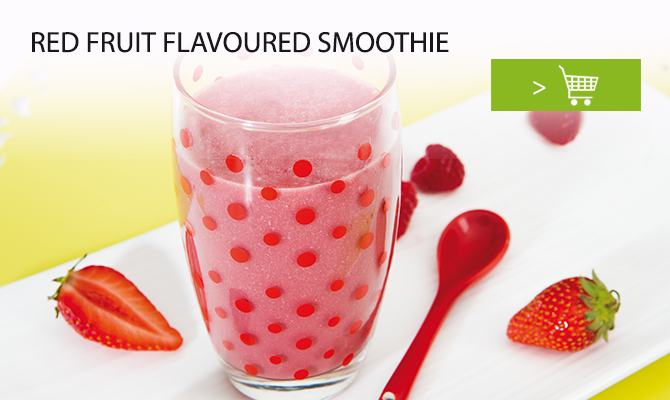 I especially enjoyed the Eurodiet shakes which I made with fresh strawberries. I lost 17 kilograms on Eurodiet and have lots of energy. I think my sleep apnoea has improved as well. Thanks to Eurodiet I’ve remodeled my eating habits, both in quality and quantity. I have maintained my weight loss for more than a year now after finishing the program! When I first spoke to my doctor about Eurodiet Australia I weighed 89 kilograms. My weight gain was due to bad eating habits, baby weight from two pregnancies and no exercise. Together with my doctors support, help from my consultant and some exercise I have lost 27 kilograms, going from a size 16 to a size 10! I have now been off the program for 6 months, and have been able to maintain the weight loss easily! I was so impressed with the program that I have now joined the Eurodiet team! I feel fantastic, I now have the energy to chase after my children, wear the clothes I was to wear and I have regained the confidence to do anything that I was to do! Eurodiet has changed my life, and it can change yours too! I started the Eurodiet program knowing I had to do something about my weight. I perhaps had been in denial about how much weight I should and could lose, but the medical check up at the start of the program allowed me to see just how unhealthy I was and how much I needed a program like Eurodiet. I started Eurodiet and quickly saw the results. After 16 days I had lost almost 8 kilograms and after 35 days my total weight loss had stretched to 13.7 kilograms! Over the course of the Eurodiet program I lost 22 kilograms. Equally pleasing was the healthy changes in my blood sugar and bad cholesterol levels. I completed the program a “healthier me” equipped with the knowledge of how to eat well and maintain a healthy lifestyle! When I first started Eurodiet I weighed 76 kilograms, with a BMI of 29.9. I was 22 years old. It was such a shock to realize how much weight I had put on, I had no idea how it had happened! After the appropriate tests my doctor got me started on the program, and my fantastic Eurodiet consultant told me what I could expect from the program. Within the first two weeks I had lost 8 kilograms and was feeling terrific! My waist, hip and thigh measurements had reduced drastically as well. Not only was I enjoying the food, but I found myself easy motivated to continue with it. By the end of Phase 4 I had lost a total of 18 kilograms, and my BMI was back in the perfect range! Eurodiet changed my life, and taught me how I should be eating, thanks to the program I’ll never have to worry about being overweight again!